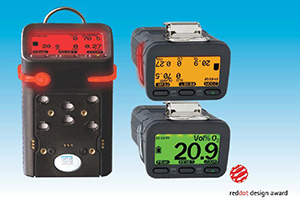 ELARD supplies gas detection and monitoring equipment from GFG Germany. GfG is a world leader in the design and manufacture of gas detection instrumentation with an experience of 50 years. 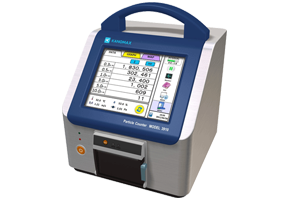 GfG manufactures a wide range of both portable gas monitors and fixed gas measuring systems, which are capable of detecting and measuring a large number of different gases from single gas to multiple gas dtectors. GFG instruments can detect even the smallest gas leaks with highly sensitive and specific sensors to provide early warning for the protection of people and plant. 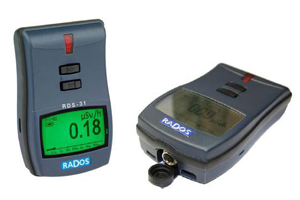 Mirion Technologies, our supplier for Radiation detection, provides quality radiation monitoring solutions and services to an ever-changing global marketplace. Based in California, and with offices worldwide, customers include hospitals, medical, university and national laboratories, veterinary and dental offices, nuclear power plants, and other specialized industries. Offering the broadest array of dosimetry product choices for measuring ionizing radiation exposure, Mirion are fully accredited through several well-known organizations such as NVLAP (Lab Code 100555-0), DOELAP, Canada's CNSC, and the UK's Health and Safety Executive. For added protection, badge data are stored in underground archival data retention vaults for easy retrieval should the need occur.